It’s harvest time and flapper pie is a dessert essential around here. 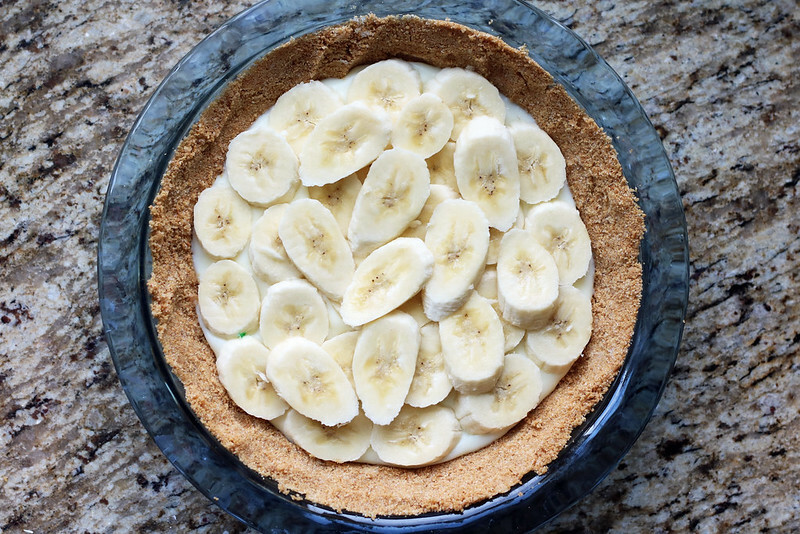 One pie isn’t often enough for all to enjoy, so I thought I would bring back another custard pie I haven’t made for a long time, this amazing banana cream pie. You can certainly use a 9 oz ready-to-fill pie crust, but nothing beats homemade, in my not-so-humble opinion. Preheat your oven to 350ºF and get out a 9″ pie plate. Place graham cracker crumbs in a medium bowl and add melted butter, sugar and cinnamon. Mix well and press evenly into pie plate. Bake for 10 minutes or until crust is fragrant; leave out to cool. To make the custard filling, in a medium saucepan add and whisk together sugar, corn starch, dash of salt, milk, whipping cream and egg yolks over medium head. Stir frequently/constantly until thickened and bubbling. Remove from heat and stir in vanilla. Pour half of the custard mixture into the pie crust. Slice the bananas on a bit of an angle, about ¼” thick and arrange in a layer on top of the custard. Spread remaining half of the custard on top of the bananas and smooth the top. Place a piece of plastic/saran wrap directly on the surface of the custard and refrigerated until chilled. At least 3 hours and up to 1 day. 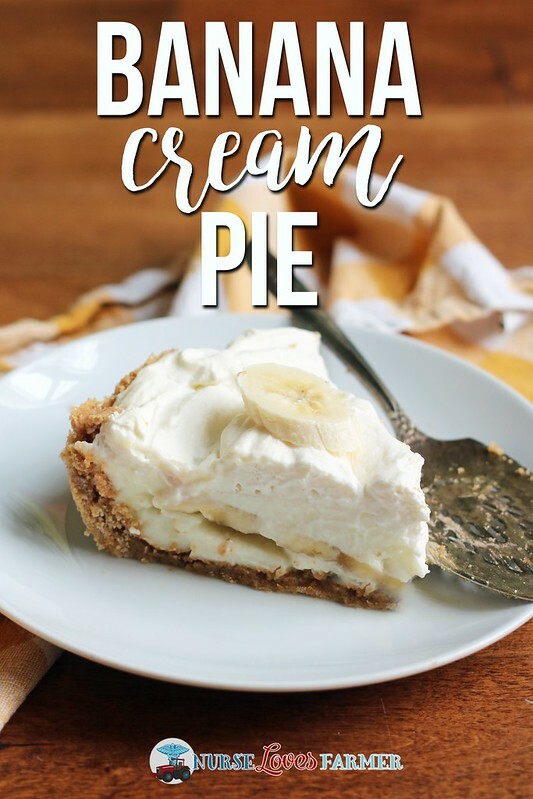 When ready to serve, beat 1 cup whipping cream, 2 tbsp powdered sugar and vanilla in a medium bowl with electric or stand-mixer until stiff peaks form. Spread over the pie an enjoy! 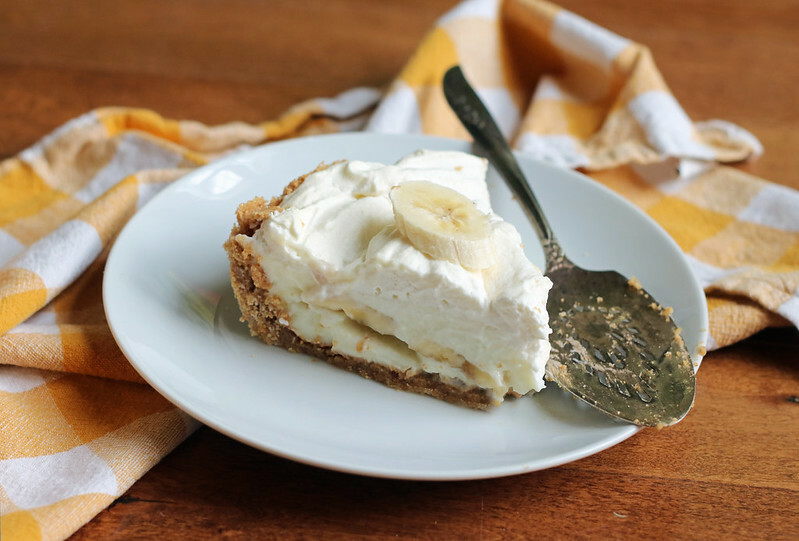 A layer of banana slices sandwiched by creamy and flavourful custard with a graham cracker crust and whipped cream topping is an easy and delicious dessert. Preheat your oven to 350ºF and get out a 9" pie plate. Place graham cracker crumbs in a medium bowl and add melted butter, sugar and cinnamon. Mix well and press evenly into pie plate. Bake for 10 minutes or until crust is fragrant; leave out to cool. Pour half of the custard mixture into the pie crust. Slice the bananas on a bit of an angle, about ¼" thick and arrange in a layer on top of the custard. Spread remaining half of the custard on top of the bananas and smooth the top. Place a piece of plastic/saran wrap directly on the surface of the custard and refrigerated until chilled. At least 3 hours and up to 1 day. This is one of those desserts that gets better the longer it’s chilled and is left to rest, it’s not a dessert that works to be made last minute!